So i put the vote on instagram, and more voted for my thoughts on this Argan Oil range from Creme of Nature. I spent the most time at this stall at the recent Afro Hair and Beauty live event, and i just couldn't choose between the two packages they had, and so i got them both! I am very excited to share this review with you. thoughts on the other products by clicking on the range names. As with the rest of the range, this product is made with Argan Oil from Morocco. Adding to this exotic feel, this shampoo is a wonderful golden colour just making you feel luxurious and spoilt. It has a fresh and clean scent, and is quite thick texture. Even though this product is sulfate free, i am still always weary of shampoo and have had a lot of bad experiences. This one however i loved from the first use. It lathered nicely, but not too much, and my hair was surprisingly easy to manage even before adding conditioner. With this shampoo i was able to finger detangle very easily and my hair felt softer than ever, rather than stripped as some shampoos do to my hair. This shampoo is one i will be repurchasing in the future and i am very happy with my decision to buy this. I would recommend it to everyone! "Strengthens, Imparts Moisture & Prevents hair breakage." When i first picked this up i thought it was an average conditioner. Upon reading it however, it is more of a treatment (yes i know it says it on the front lol). The directions of this one say to leave it on for just 10-15 minutes under a hooded dryer and plastic cap. I don't own a hooded dryer and so i left this on my hair with a plastic cap and used my Thermal Hot Head, which heats up and keeps your head warm while deep conditioning. This treatment is very thick, you have to give it a good squeeze to get it out. I think that when it comes to the last little bits of this bottle, that this will be a problem to get it all out. The way it worked on my hair however, was amazing. My hair was left feeling absolutely silky soft and hydrated. I found that when combing it through and when combing afterwards, that i didn't have a lot of hair shedding. My comb glided through my hair so easily and effortlessly. I will again 100% repurchase this product. It did everything i would want a conditioning treatment to do and i feel that it is gentle enough that i could do this every week or more if needed. "weightless hydration for soft curls." This butter is great! I used this on day 6 curls and my hair just bounced right up full of life again and felt soft and fluffy. One thing i like about this, is it can be used on dry hair and works just as well. I actually wasn't expecting it to do much to curls that were almost a week old, but it transformed them. It isn't sticky and it doesn't weigh curls down at all. In fact my hair felt more light and bouncy than it did on day 2 of my wash and go. The texture is like a custard at first, but when you rub between your hands it melts into a wonderful buttery feel which soaks right into even my high porosity hair. This is one of my absolute favourites in the range. I will be re buying this one for sure. A little goes so far with it as well which means that it is going to last longer and you will get your moneys worth out of it. 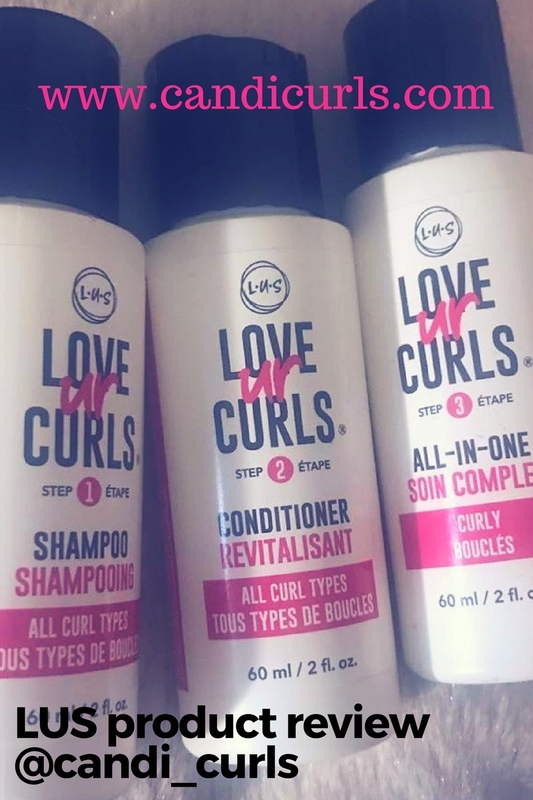 "Defines & Elongates Crunch-Free Curls"
This right here, earned a spot on my top shelf. It is a cross between a gel and a cream, with a thick custard texture. It has the same fresh smell as all the other products in this range, and it does what it says on the tub. It really did minimise shrinkage and the curls were held in a non crispy way which lasted all day. I used this with the above product and my day 6 curls were just my favourite in a long time. YES YES YES i will always have this one on my shelf! "Restores & Rebuilds, Helps Distressed Curls, Deep Treatment." I used this for the first time this weekend and loved it. It says to leave on for 5-10 minutes, but as i was busy this was on my head for around 30mins or so. I worried at first because of how long i had left it on, and that it felt as though it was drying. However, when i washed it off what i was left with was baby soft curls. It was hard to not keep touching my hair. It contains no Sulfates, Silicone, Mineral Oil or Petrolatum and is safe to use as a weekly treatment. Not as thick as i was expecting it to be, i really didn't need to over use this to get the most benefit out of it. Another yes for purchasing this one again in the future. I was really happy with how moisturised and soft my hair was looking and feeling. My curls were shiny and looked longer and healthier. My ends, where i applied extra product, bounced right up and formed into ringlets. This is going to be a new fave of mine. "Instantly moisturizes with Exotic Shine, softens and detangles, Define curls, controls frizz." Exactly what it says on the bottle. The instant moisture this leave-in gave my curls was insane. It was weightless, non-sticky and gave my curls a lovely shine. I didn't have any frizz with this product, and my curls were ringlets and bouncy. The only thing with this is that it is a thick leave-in, meaning getting it out of the bottle means giving it a very very hard squeeze and it was a bit of a struggle. As with the other products in the range i think that this is going to cause problems when it comes to the last bits. I am in love with it regardless and will purchase it again in the future, i just think that it would have worked better in a tub. I was suggested this product to use as a hot oil treatment but i haven't done this yet. I have never done any hot oil treatments before and need to research a little more on the best way to do this. I have used this oil as a scalp massage, to add some shine to my hair after styling. It didn't leave my hair feeling greasy and was very gentle on my scalp. This is the only product in the pack i won't repurchase ... yet! I can't wait to try it out as a hot oil treatment when i research it a little more on how to do them properly. I also received a cute little creme of nature branded Afro comb in the pack as well as the products coming in the bag pictured above, so i have two of these now. Overall i have to say i am so glad that i purchased both these offers. I am in love, impressed and obsessed with the way my hair feels and looks after using these products. The results lasted days and i didn't need to refresh my hair as often as usual. The fact i was able to use them on dry hair, on day 6 hair or on fresh hair and still have amazing results is a finishing point for me. I am hooked! My shelf is dominated by this brand, and it will always have a place on my top shelf! Have you tried any products by creme of nature yet?